Here is confirmation of what I have been saying for twenty years: Neighborhoods have become business districts. This article cites a study showing that more workers telecommute than take public transportation (e.g. buses, subways) to work. 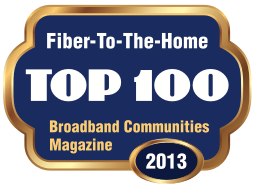 This is why fiber to the home is so important: it is an economic development imperative. Home-based workers and home-based businesses need affordably priced, business class Internet services. 5G, with data caps, speed throttling, overage charges, and security problems, is not going to be an ideal solution. And in the long term, fiber is less expensive. For as long as there has been wireless data and broadband service, the wireless boosters have been promoting the idea that wireless is "cheaper" than fiber. But that premise is based on a false comparison of the first year cost of wireless with the forty year cost of fiber. Wireless equipment typically has to be upgraded or replace every four or five years because of obsolescence and/or environmental deterioration. But put fiber in the ground or on utility poles and you have created, at a minimum, a forty year asset. Take the forty year total life cycle cost of wireless and compare that to the forty year life cycle cost of fiber. Fiber is going to win...every time.